Promoting the health literacy of patients across all settings is an essential component of prevention, wellness, and effective medical treatment. 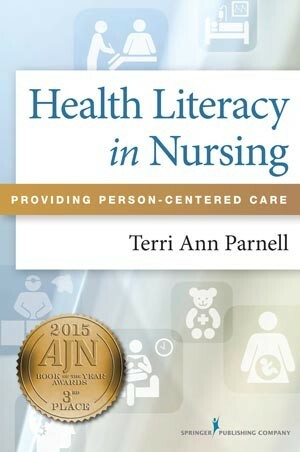 Health Literacy in Nursing: Providing Person-Centered Care provides an overview of health literacy, discusses the magnitude of the issue, and explains implications of low health literacy. It details strategies to enhance effective communication between patients and nurses. Health lit should be a required course for every nurse. SO important! I loved this book and I will reread it for a reference! After completing I feel like I have actually learned something. Above all this course gave me more insight into patient teaching. The course is very important. I think the patient often gets lost and doesn’t understand what is presented medically because it is not always clear. I think this course should be required. The medical community forgets to present material in a clear concise way. This was excellent and information that was new to me. It made me think about the importance of health literacy. I have been in nursing for so long I had forgotten how medical terms can be so new and confusing to others.